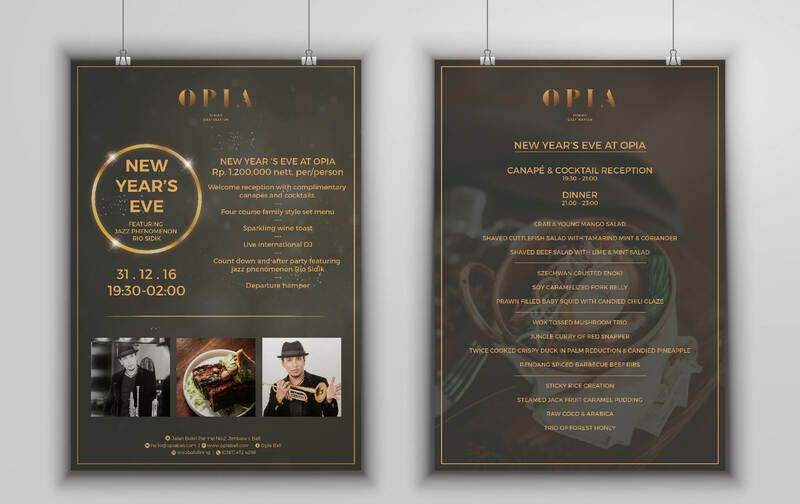 Celebrate Festive Season at OPIA! The evening will start with cocktails and canapes from 19.30 followed by a four course family style set menu. Towards midnight, enjoy complimentary sparkling wine toast and dance the night away with live international DJ performance DINKA Sound and Jazz Phenomenon Rio Sidik.